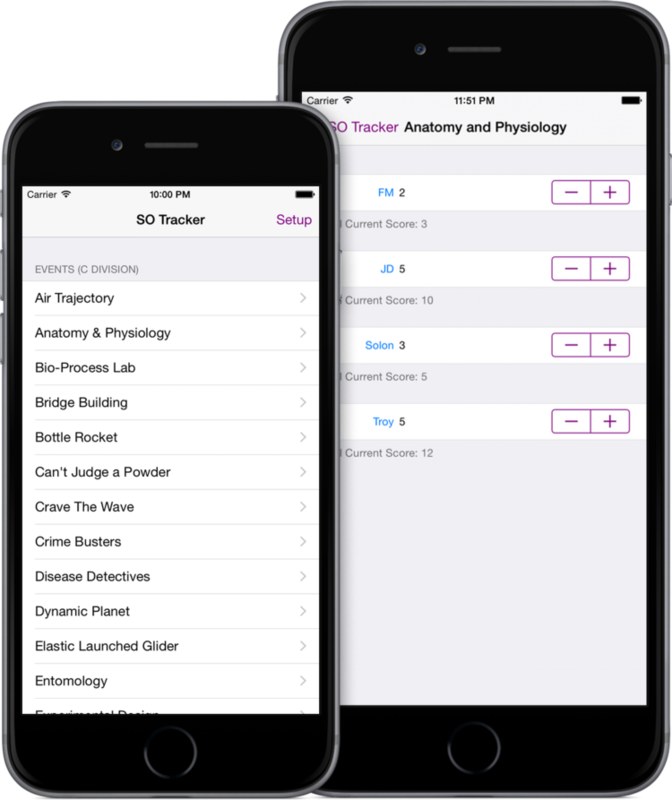 Science Olympiad Tracker is an app for iPhone and iPod Touch that tracks scores for Science Olympiad competitions. This app has been recently updated to Version 2.2. This version has updated events for the 2014/2015 season, and has the iOS 7/8 look and feel.